The Therm-A-Rest NeoAir XLite lets you sleep comfortable & warm all night long and won’t slow you down or take up a lot of space in your pack while you’re hiking. 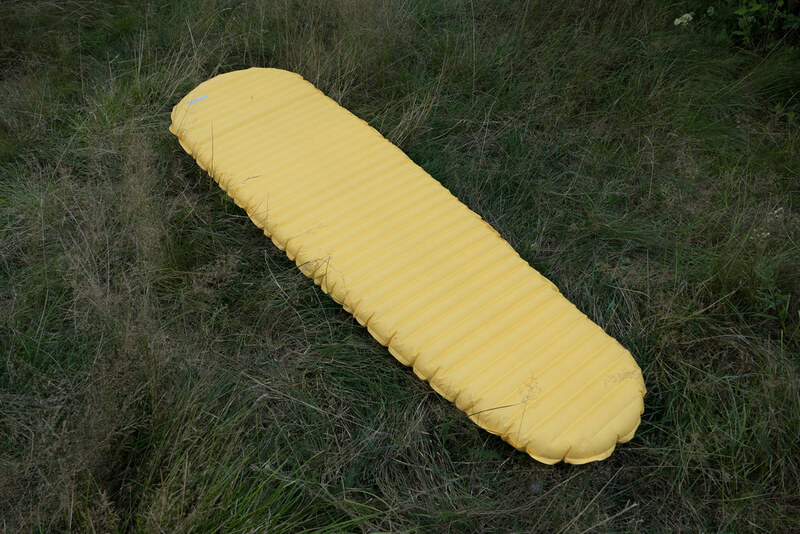 After over a year of use on different trails the verdict is out: This is one of the best 3-Season sleeping pads on the market. Read all about it in my in-depth review. I’m sleeping on the NeoAir XLite Regular since August 2013 when it’s the season. It was along in the Urho-Kekkonen National Park, on the 2013 UL Summit and every hike of 2014. I slept over 50 nights on this mat and it still works superb. 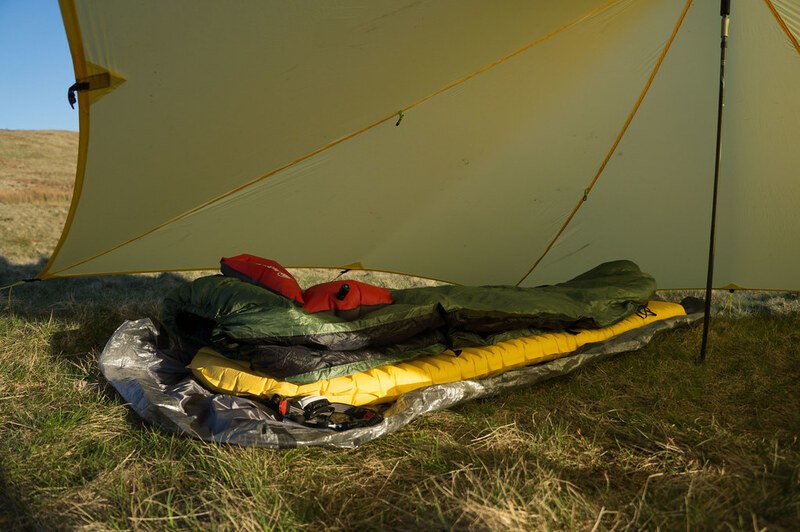 Like the NeoAir XTherm the XLite’s function is to provide you with a warm and comfortable bed at camp while being small & light when being carried in your pack. The mattress is insulating you towards the ground so you can sleep warm. The XLite is available in three sizes (S = 119 cm long, 230 g/ Regular = 183 cm long, 353 g/ L = 196 cm, 460 g) and a Women’s Version (168 cm, 340 g) which has a higher R-Value. 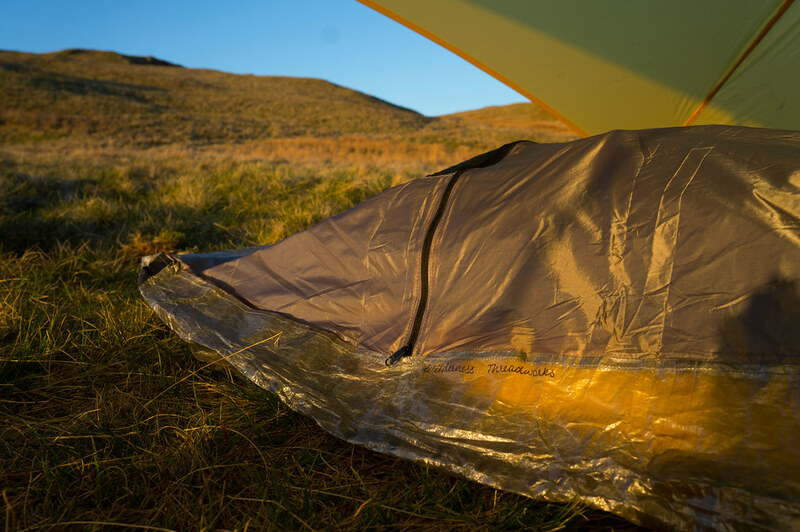 The Reflective ThermaCapture™ technology is an innovation. 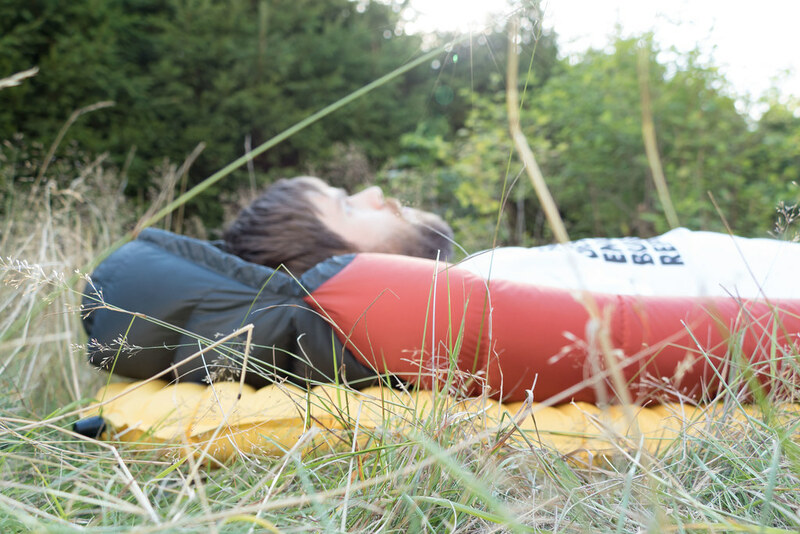 It are reflective layers inside the NeoAir mattress that reflect radiant heat back to your body, and so amplifys the warmth without the bulk, weight or durability issues of down and synthetic fills. Also the Triangular Core Matrix™ construction is an innovation, this construction combines two layers of triangular baffles to create over a hundred insulating cells in the mattress and so slowing down convective heat loss as well as delivering very good stability for maximum comfort. After over 50 nights on thee mattress it still works and looks great and shows no signs of weaknesses. It’s a durable mat and can take the abuse of what you encounter when you’re backpacking. The Regular length XLite is 353 g.
The XLite is made in Ireland of oil based materials and has a coating on the inside, so shouldn’t be thrown in the garbage like ordinary rubbish. You could try to either recycle it via your local outdoor shop or inquire from Therm-A-Rest how to recycle the mat at the end of its life cycle. 15 large breaths, that’s how often a non-smoker will need to inhale and exhale to make out of the small, rolled up package a fully inflated, comfy mat. If you like it softer, maybe 13 or 14 are enough, and if you have a small lunge volume it might be more, but 15 breaths is what it takes me to inflate this mat. If that seems too much for you then Therm-A-Rest has a a Mini Pump for you which will add 65 g to your pack or an Pump Sack that adds 77 g to your packed weight and make life on the trail slightly easier. Of course then you just also could take a self-inflating mat or a closed cell foam mat and be done and never inflate a mattress again. But those mats are quite a bit larger in packed size and often also quite a bit more heavy. 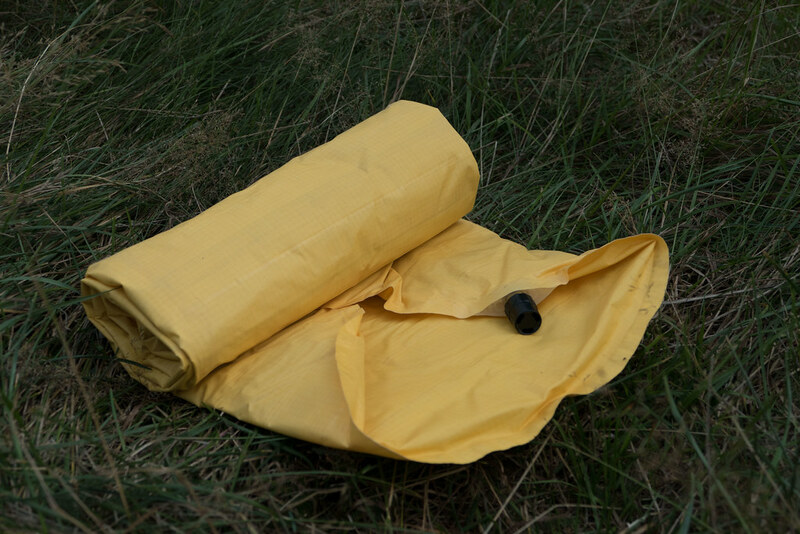 So with a mat like the XLite you get a light mat that packs up small - about 1 l rolled up is what it will take of the space in you pack. Speaking of the rolled up mat, deflating is just as easy as inflating. Open the valve and it will largely empty itself, but to speed things up you can kneel on it. When it’s fully deflated I lay it out flat, fold it twice into the middle and then roll it up, that way I get an approximately 23 cm long package that’s about 9 cm in diameter. One of the reasons you will consider the XLite is Comfort. 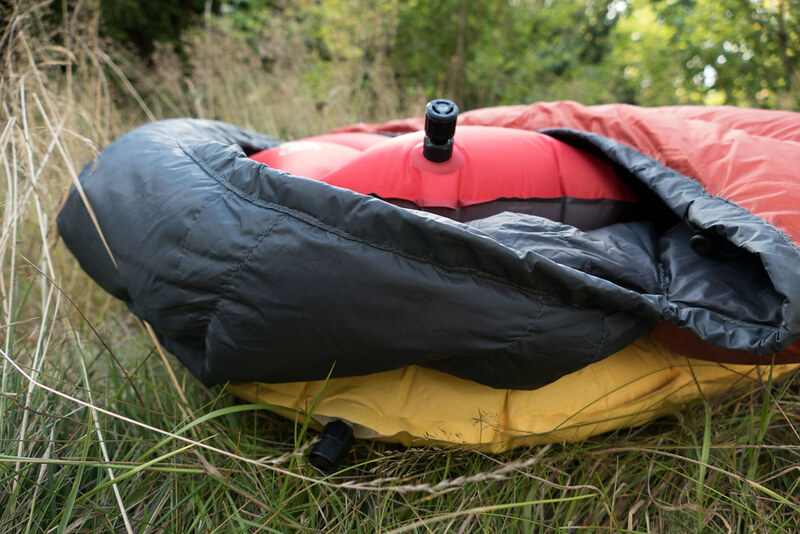 At six cm thick the XLite is fully inflated a very comfy mattress, and if you like more cushy/ soft mattresses just open the valve to adjust it to your liking. 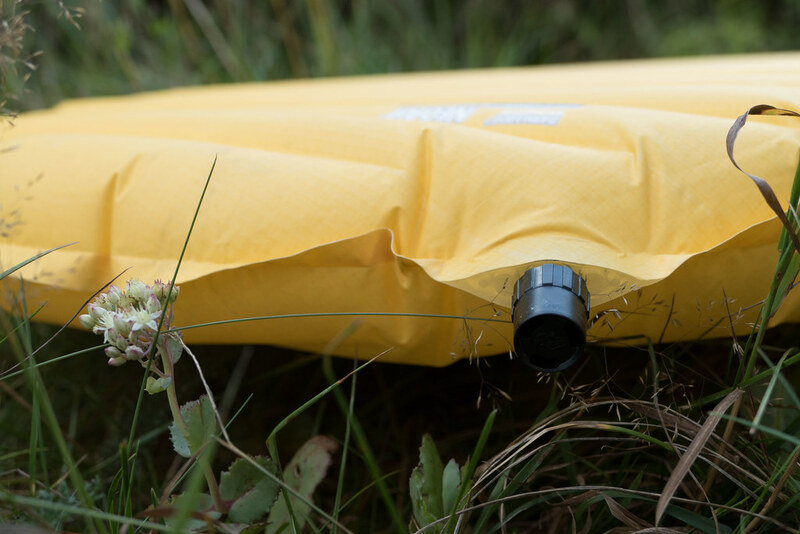 It also makes camping fairly flexible as you’re less dependent on 100% even surfaces - if theres a root protruding from the spot you want to camp the XLite is able to comfortably lay on top of it and you’d have never known. Similarly it’s great for camping on the rocks, for example if you want to bivy on a summit. While it’s a durable mat I do carry a very thin Exped CCF pad along which I lay underneath the XLite to protect it a bit from sharp, small rocks or stuff I might have not seen. It’s also a good back-up and adds a bit of extra warmth. Warmth is one of the other things where the XLite shines. It’s a warm mattress - I had it down to around -5°C and was toasty on it and never knew I’m on a 3-Season pad. Which means you’re good to go till late autumn with this mattress, and if you like to use a CCF pad in winter as a back-up either way you even might be able to use the XLite in mild winters. For serious cold winters I’d still use the XTherm, though. 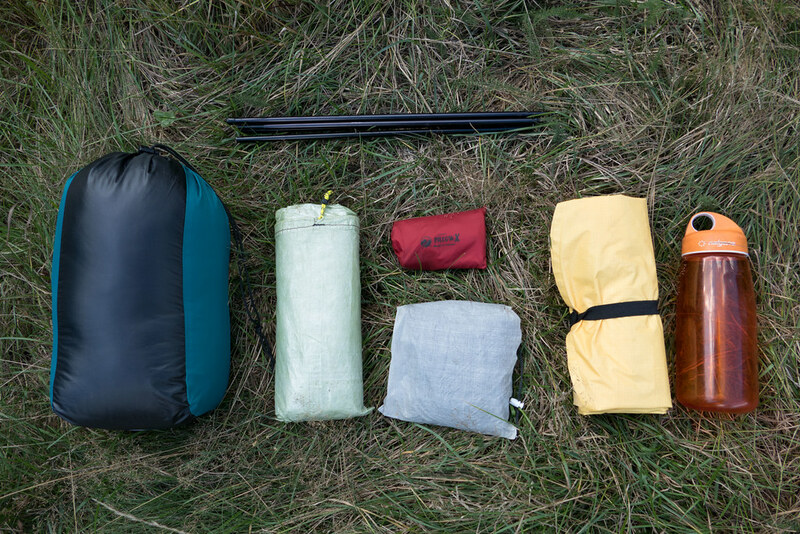 There’s a few mattresses that fill the same niche as the XLite: There’s the Exped SynMat 7, the Mammut Light Pump Mat UL, Vaude Norrsken and the Trangoworld Micro Air which all have a similar pack size and warmth rating but most of these are heavier. I have no complains about the XLite. Sure, at some point in time it’d be nice to get the same warmth & comfort for less weight, but for now I’m happy. Those that always thought the XLite and XTherm were to loud, Therm-A-Rest has heard you and from 2015 on the mats will be more silent. And those that would like to not have to inflate their XLite but still want a 5 cm thick pad should get the EvoLite in 2015. After many years of backpacking and sleeping outside it’s pretty straight forward for me when I pack the sleep system: Spring till autumn it’s the XLite, winter and high-altitude it’s the XTherm. The XLite packs small in my pack when on the trail and is lightweight with just 353 g for the 183 cm long mattress. After 15 puffs of air at camp I have a comfy mat to chill and sleep on that keeps me well insulated against the ground. It makes finding a 100% perfect camp spots less of a hassle as I can lay comfortable above roots and round rocks on this 6 cm thick pad. Most important, I get a great nights sleep on it every time and am ready for another good day on the trail, where the small packed mattress again disappears in my pack. 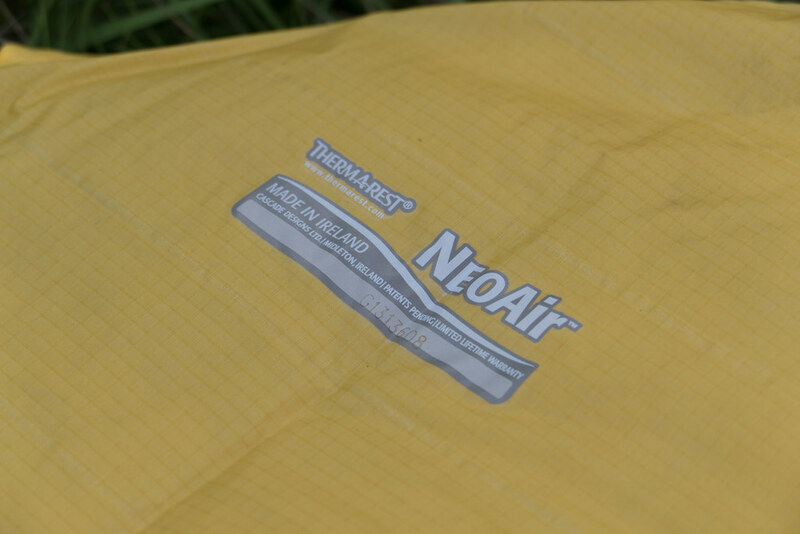 If you want comfort & warmth paired with a light weight and small pack size, look no further than the Therm-A-Rest NeoAir XLite. Buy your XLite at Backcountry, Bergzeit, Bergfreunde, Campsaver, Cotswold, Globetrotter, REI or the Trekking-Lite-Store.com.